Auto Scales is able to offer a service from a one off visit to a full Maintenance Service Contract with regular scheduled weighing scales service visits. Full certification is available if required. All visits are carried out by our dedicated team of engineers who have many years of experience in servicing an array of weighing equipment. All our weights are traceable to National Standards. 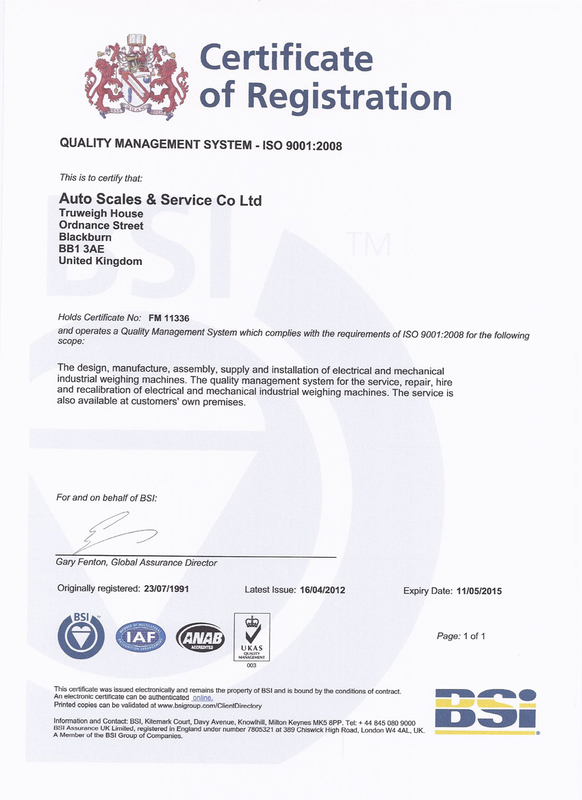 Full Calibration Certification documentation is offered to fulfil the requirements of ISO 9001:2008.